Copy of your Public Liability Insurance to the value of a minimum of the equivalent of £5 million that covers filming in the UK. The website for the British High Commission provides information about visas, including film groups. Alternatively, you can contact your nearest Visa Facilitation Service (VFS) for practical information and advice. The British Film Commission (BFC) also offers valuable help to international crews, while specific information about tax relief and co-productions can be found on the British Film Institute (BFI) website. Please note that locations may have a cancellation policy in place or consider a cancellation fee when negotiating the contract terms. 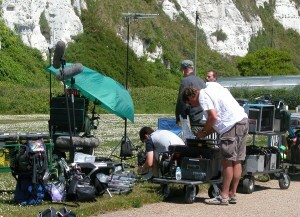 All Overseas productions should obtain insurance from their country of origin which covers them for filming in the UK. Alternatively, they should set up a UK company through which they can obtain insurance, which may also give them access to the UK tax relief. For more information on this please refer to the British Film Commission website. There are also opportunities to qualify as a co-production which has its own benefits, including being able to apply and be eligible for funding and for the UK filming tax relief system. See BFI website for more information. Where necessary, all insurance documents provided by an international production should be translated into English. Location agreements and the insurance policy must be in the name of the same company. For example, the location contract cannot be in the name of the overseas company and the insurance in the name of the UK production services company; both must be the same. For Visiting Production: We recommend that all productions hire a location manager experienced in working in the UK who is able to negotiate and be the point of contact for the location owners and local agencies. Additionally, location managers should be able to scout on behalf of the production and attend any recces prior to the production arriving in the country if necessary. 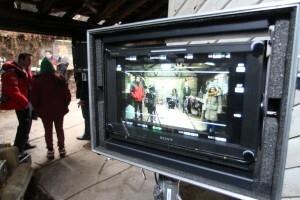 For Location Owners: Locations should provide a clear transparent filming policy and process of application.